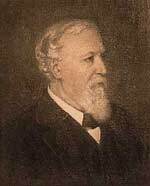 Robert Browning was born in Camberwell, Surrey on May 7th, 1812. He is the son of Robert and Sarah Wiedemann Browning. Robert's father worked as a clerk for the Bank of England and managed to amass a library of obscure and arcane books. His mother was a devout nonconformist. Robert also had a younger sister who was highly gifted. In his early childhood, Robert was seduced by poetry and natural history. By the age of twelve he finished his first book, although it was later destroyed due to him not finding a publisher. Robert greatly showed his displeasure for school life. He studied at several facilities before becoming home schooled by a tutor. By the age of fourteen, Robert was fluent in English, French, Greek, Italian and Latin. His love for romance poets grew greater. As a follower of Shelley's works he briefly became atheist and a vegetarian. However, later he mentioned it was only a phase. At sixteen he attended the University College in London, England but soon dropped out after his first year. Through Robert's mother, he became musically talented with composed settings and various songs. In 1833, Browning's mark on poetry began. Pauline: A Fragment of a Confession was published by Saunders and Otley, however its publication was greatly financed by his family. Robert continued his poetic career through much of the mid to late 30s. And in the early 1840s Browning wrote numerous volumes of plays and shorter poems under the series Bells and Pomegranates. In 1845, Robert met Elizabeth Barrett and by 1846 they were married in secret. Robert then became a father in 1849 to Robert Wiedemann Browning who later became a painter and critic. The Brownings together continued to write numerous poetry from their Italian home throughout the 1850s. Roberts first piece published since his marriage was in 1850 named Christmas-Eve and Easter-Day. Robert's book Men and Women was dedicated to his wife in 1855. The title comes from a line in Elizabeth's Sonnects from the Portuguese. This book is now looked on as one of the greatest pieces written during the Victorian era in England. However, the book received little response when first published. Following his wives death in 1861, Browning and his son returned to England. His next work would not be published until eight years later - nine since his last publication. In 1864, Dramatis Personae was published. The book sold extremely well along with selected poems throughout the piece. The book holds a darker tone than his earlier works. Robert's literary status was recognized by the honorary fellowship award in 1867 in Balliol College, Oxford. Robert returned to Italy for the first time since his wife's death in 1878. He later died in December of 1889 at his son's home in Ca' Rezzonico in Venice. He was buried in Poets' Corner in Westminster Abbey; his grave now lies immediately adjacent to that of Alfred Tennyson.